Superman’s very first origin story in Action Comics #1 is brisk and breezy—it lets you know who Superman is, what he can do, and leaps right into the action in a matter of pages. But what was the moment Clark Kent decided to become a hero? Where did he get his first costume? This gorgeous tribute to the Golden Age tries to imagine the answer. 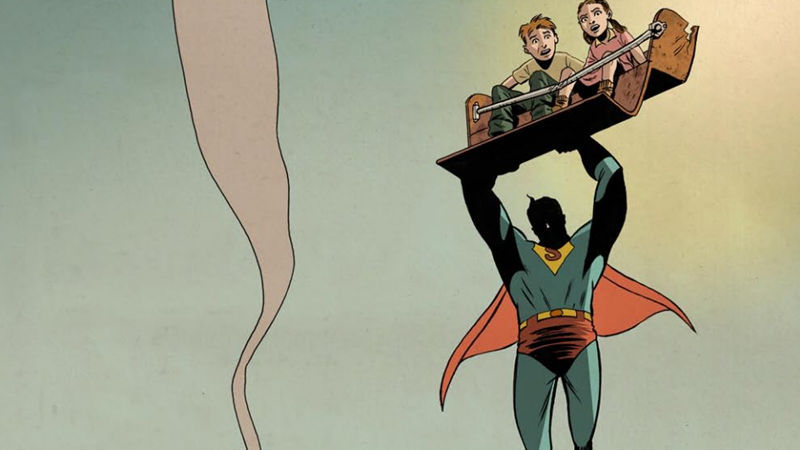 Created by Adrien van Viersen—a storyboard artist who has worked on the likes of the X-Men movies, Game of Thrones, and The Flash—Superman: The Golden Age acts as a prologue to the original Action Comics #1. It sees Clark Kent, on the hunt for a story about a local strongman for the Daily Planet, spark his heroic instinct and form the Superman identity he would go on to use as one of the most famous superheroes ever created. Done in the style of Jerry Siegel and Joe Shuster, the prologue is short but sweet, and really nails the Golden Age aesthetic. Sadly, there won’t be more to it; Viersen had planned to tie the prologue into a retelling of some of the earliest Superman stories from Action Comics into a cohesive narrative, and even got to pitch the potential book to DC, but the idea was rejected. You can check out a brief trailer for Viersen’s comic above, and read the full thing at the link below.